I apologise in advance for the fact that this nail polish is not readily available in the UK, but I just had to share this gorgeous nail polish with you, and maybe my US readers would like to purchase it! 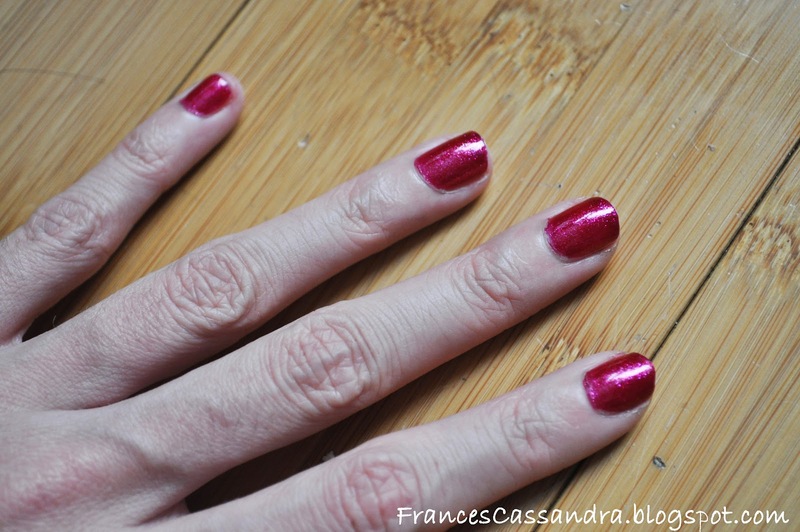 I was lucky enough to win the Urban Decay Holiday Nail Set in Lina's Holiday Giveaway and this is one of the gorgeous colours that came in the set. I think it might be one of my new favourites! Hot Mess is the most stunning fuschia pink jelly nail polish with fine pink glitter running through it. I wish you could see how sparkly it is in the photographs. It only took two coats to achieve opacity, although I think a third coat would really make the colour pop. Since I only applied this for the first time yesterday, I can't really comment on the lasting power of it, however I used another polish out of the Urban Decay set last week which lasted me around five days with minimal tip wear. This was also lovely to apply; the formula is quite runny but not too much so. I definitely love all of the polishes in this set, I think Urban Decay need to branch out more in to nail polishes too! 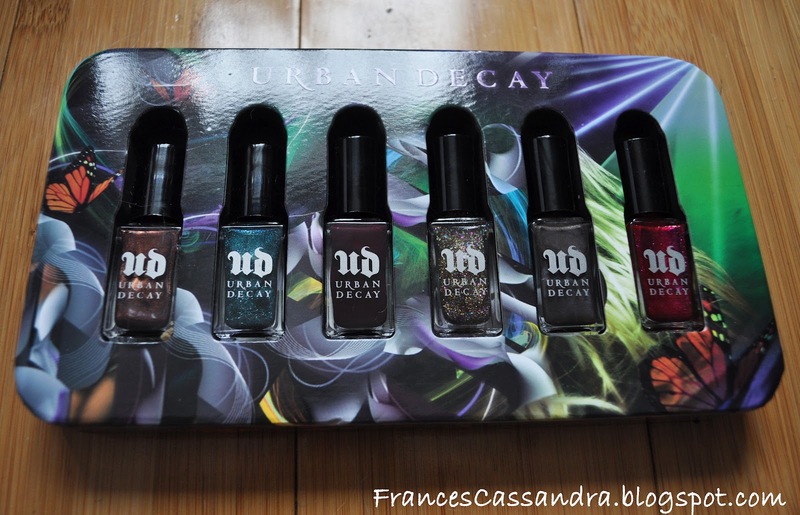 Unfortunately, Urban Decay does not ship internationally, and I'm not sure whether this set will be available in store as it was part of a Holiday collection. However, if you are in the US, you can still buy the set on the Urban Decay website; it is now in the sale reduced from $28.00 to $19.00, so I would definitely recommend getting your hands on it! Here is the complete Urban Decay Holiday Nails set, all the colours are absolutely stunning! wow im so jealous! i absolutely adore nail polish! I was lucky to get the Rollergirl set and I fell in love with it. I was hunting this one and had no hope. Seriously, the colors are sooo pretty. 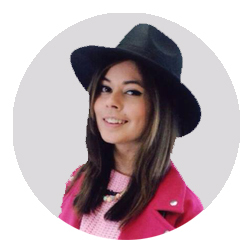 Keep us updated if you find some good dupes, hard to dupe something you don't have and only know from photos. P.S Found you through BBC and I am now following you, will be glad if you visit me back!